Hit By A Car In The Bronx? Have you been hit by a car while walking down the street in The Bronx? If you have been involved in a Bronx pedestrian accident, you may be able to recover compensation for your pain and suffering. Contact an experienced attorney at The Orlow Firm today for more information. Have you been hit by a car while walking down the street in The Bronx? If you have been involved in a Bronx pedestrian accident, you may be able to recover compensation for loss of wages and pain and suffering. 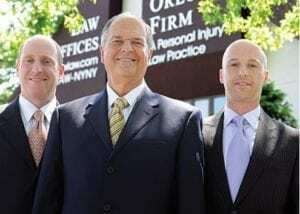 Contact an experienced attorney at The Orlow Firm today for more information.